Many cloud computing companies have a cadre of electrical engineers, computer scientists and other experts managing technical operations. They all rose through the ranks via abilities to deal with specific problems with boxes, boards or lines of code. That makes them natural fits for engineering management, product management and even business development or sales where micro-environmental issues only need one-time solutions. However, when it comes to marketing, one size really does have to fit all, in many cases. While one-to-one marketing and personalization have become fads, traditional marketing remains in the macroscopic mindset. IQ and technical smarts alone will not cut it. High emotional intelligence (EQ) exists as a necessity to formulate outbound approaches that will activate customers and get them into the buyer journey. 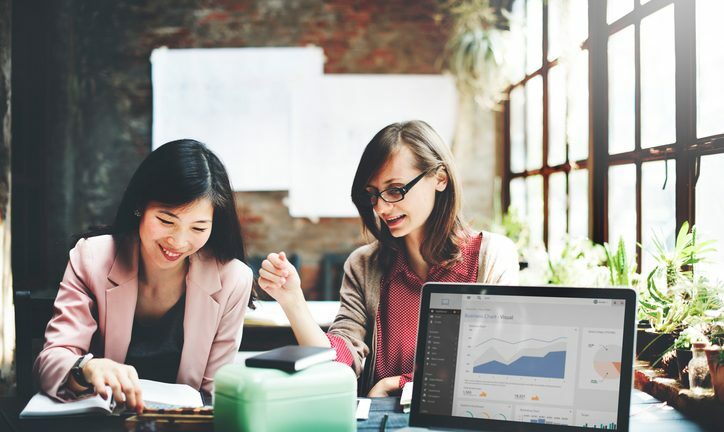 The biggest lesson in this is that engineers are not the buyers, according to Marilyn Heywood Paige, vice president, marketing, Fig Advertising, who says she has worked with many coders in marketing over the years. For example, coders could write a searchable blog or white paper about reliable cloud service. Instead of writing, “Cloud infrastructure with the highest uptime by geographic location,” they should write, “Reliable cloud service in California,” because that’s a phrase non-technical audiences are more likely to search for, according to Heywood Paige. To take the place of buyers at different stages of the customer journey, engineers can become effective marketers if they leverage their training to ask questions that purchasers would ask then develop answers, according to Marsh. And by cooperating with those who have liberal arts backgrounds, such as authors, engineers could help flailing cloud company marketing. This kind of tag team approach to marketing with engineering is a great way to identify engineers who can naturally blend IQ and EQ into go-to-market strategy for solutions, according to other former technical role players. While many engineers are very analytical and focused on details, when transitioning into marketing roles, veteran technical experts say they need to keep in mind that unlike engineering, marketing is more of an art than a science. Building on that sentiment, a former vice president of business development and marketing at 5Nine Software relates that when managing technical marketing programs and customer-facing activities, it was even more important to get hands-on with whatever you are promoting so you can really understand product strengths. A path toward unleashing marketing creativity exists in the practice of writing. Technical thinking instilled into engineers at major research universities can have the unintended consequence of stunting imagination of original content, in the views of some graduates. But with the help of creative gurus they made it in marketing. According to Scott, writing built the bulwark of her career as a professional marketer. And for cloud companies to engender similar crossovers, she believes they must coach their engineers through the process of writing. In the opinion of many engineers turned marketers, making the transition from a ones and zeroes technical mindset to the touchy-feely methodology of marketing might not be so far-fetched. With proclivities for data, engineers could successfully move into marketing via the analytics route, according to former coders. As a masters of computer engineering from University of Minnesota, Shah says he has a feel for technocrats moving into marketing roles, first placing them in positions making sense of data-intensive applications such as customer relationship management. Shah believes that those with trained pattern recognition abilities can perform best when matched with intuitive outbound professionals. Applying themselves in brainstorming meetings and target market sensitivity training, Shah sees that engineers could even surpass liberally educated marketing generalists, at times. “Then I’d find his or her creative formulations more useful,” he says. Indeed, flexibility remains a hallmark of any former-engineer-would-be-marketer in the minds of many who have made that leap. Even as they recognize that high EQ exists as an absolute necessity of the outbound professions, they steadfastly state technical personnel can make the transition if they put their minds toward actively altering their mental pathways. So while computations have binary outcomes, the customer decision-making process can be multidimensional and not so logic based. All desire that buying behavior remained rational. But dealing with irrational buying behavior has to be something of which all marketers must beware, according to Kemmler. “You market to the customers you have, not the ones you wish you had,” he says. Engineers in Marketing: Strangers in a Strange Land? As engineers and programmers, accuracy in the job exists as the expectation. An apparatus either operates as designed or not. Code either runs smoothly or it crashes the system. Marketing is much vaguer—there’s usually not an immediate result that can be observed, and means to solving marketing issues remain very different than technical challenges, according to veteran technology marketers. During a 16-year software career that he states culminated in a vice president of product development role, Spitkoski says traveling and customer interaction had a key effect in cultivating his soft skills, which could include the concept of EQ. Tech skills merely became nice-to-haves from his point of view. Excellent article and very comprehensive. At EAS and CCH, I found that bringing a tech with me on sales calls helped both of us. I would interpret for the prospect when the tech got too technical, and the tech would explain details I could use on solo calls. If you can match cooperative personalities, the sales-tech team makes prospect calls a non-zero-sum meeting for all three participants.